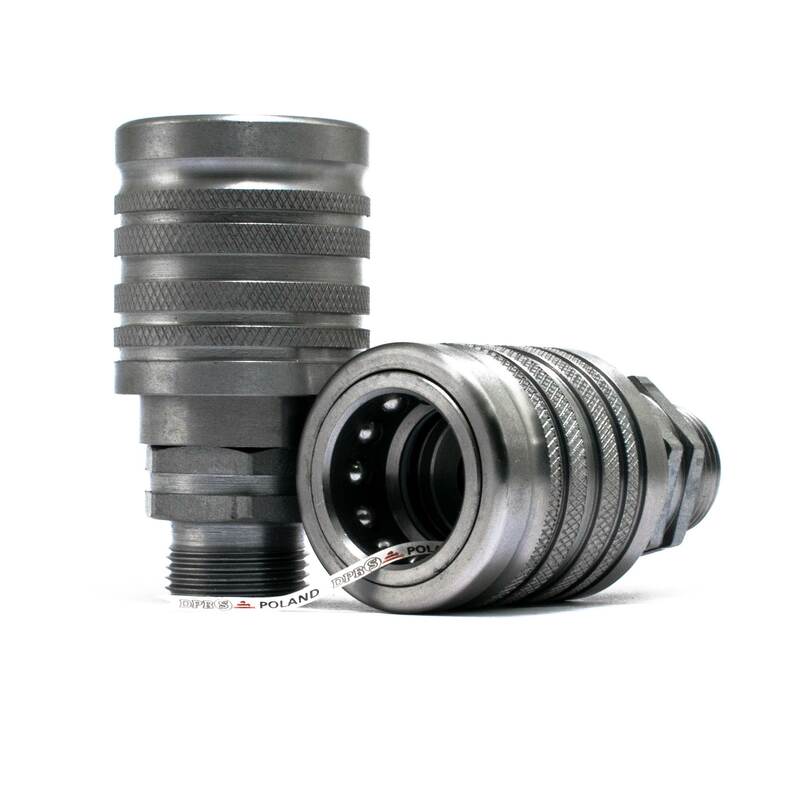 Quick coupling made in accordance with ISO 7241-1 A (abbreviated ISO-A) which slowly displaces older versions of the market. This is the transition to a higher standard of hydraulic servicing of agricultural machines. This type of quick coupler is mainly used in agricultural machinery, it is ideal for working with hydraulic oil. Thanks to the Zn-Ni coating of alkaline electrolyte with nickel in appropriate proportions, the product gains 4x higher corrosion resistance than pure zinc coating. As a result, its durability is extended, allowing for longer, more effective use.